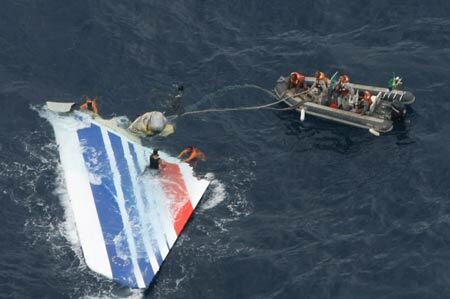 Air France flight 447 went missing on its way from Brazil to France. The plane left Rio de Janeiro Galeão International Airport at 2203GMT on the 31st May 2009, and was expected in Paris Charles de Gaulle Airport at 0910GMT on the 1st June 2009. The plane dropped off Brazil's civilian radar screens at 0133GMT and off Brazil's Air Force radar at 0148GMT about 351km northeast of the coastal Brazilian city of Natal, having just passed the archipelago of Fernando de Noronha - at this point the plane appeared to be flying normally. At 0200 the pilot reported thunder storms and turbulence. 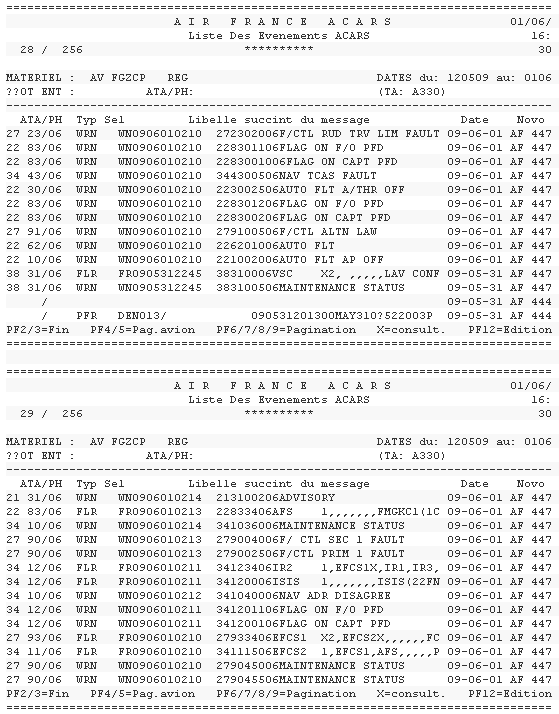 The last contact with the plane was at 02:14GMT when it had sent up to 24 automatic signals over a 4 minute period to Air France maintenance computers on the ground, indicating inter alia that the autopilot had disengaged and a possible loss of pressure (the last signal was sent some 640km northeast of Fernando de Noronha Island). There was no distress call from the pilots. At 0220 the plane failed to make previously scheduled radio contact with Brazil Air Traffic Control, and Brazil Air Traffic Control notified air traffic control in Dakar, Senegal. 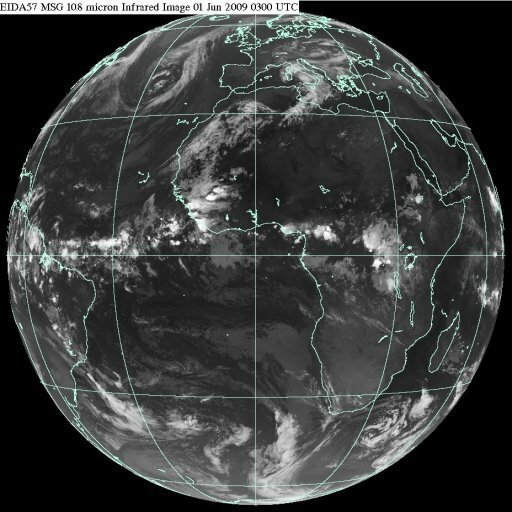 Between 0500 & 0600 GMT Brazilian, African, Spanish and French air traffic control centers try to make contact with the flight, but are not successful. At 1444 GMT the plane would have run out of fuel, if it was still flying. the chief pilot (Marc Dubois), implying that, in keeping with usual practice, he was not at the control during the cruise phase of the flight. The first and second officers would probably have been flying (they would have been seat-belted and unlikely to have been thrown clear of the enclosed flight deck). Graham Gardner, a UK citizen & employee of Subsea 7, an Aberdeen-based oil company. Gardner lived in Gourock, Inverclyde. a leather briefcase with an Air France ticket for flight 447 inside it, which Air France confirmed corresponds to a passenger who was on the doomed flight. A nylon backpack with a vaccination card and laptop in it. a blue seat with the series number 23701103B331-0 (Air France are still to confirm whether it belongs to flight AF 447). Fourteen more bodies were recovered (by the Brazilian Navy & French ships) on the 7th June in the same area as the previous 2. On the 8th June 2009 eight more bodies were recovered in the same area. On the 9th June 2009 17 more bodies were recovered, and the first 8 bodies found were flown by helicopter to Fernando de Noronha. No bodies were recovered on the 10th June, due to bad weather. 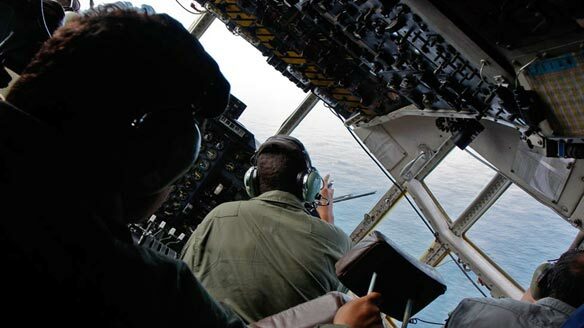 On the 11th June 3 more bodies were recovered by the Brazilian Navy Ship Constitution, after being spotted by an aircraft searching debris or bodies from flight 447 (no further plane debris was recovered on the 11th June). On the 12th June 6 more bodies were recovered. On the 16th June 1 more body was found and recovered by the Caboclo, a Brazilian Navy Corvette. Most of the bodies were found without clothing, which could possibly have been taken off by the wind during their fall (further evidence that they were sucked out of the plane). 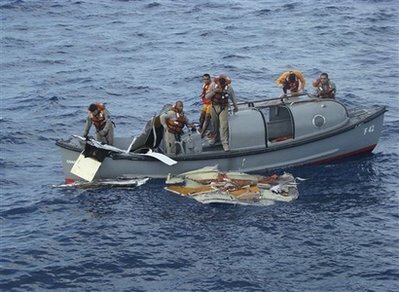 It's therefore possible that the bodies which have been found were those sucked from the plane, and that the majority of the remaining bodies are fixed to their seats in the hull of the plane (presumably underwater). Prelimanary analysis of the bodies indicates that they didn't suffer any burns, indicating that there was not an explosion and that the plane broke apart mid-air. The bodies had no water in the their lungs, indicating they did not die from drowning, but had multiple fractures. 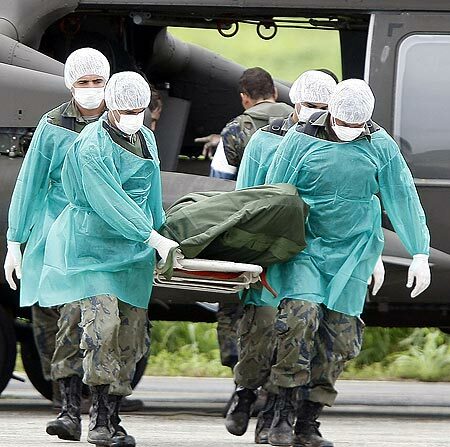 Bodies will be delivered to the airport at Fernando de Noronha island and then to Recife for identification. Rescuers believe that some bodies may have been consumed by sharks or have sunk. The bodies have been found dispersed as much as 85 miles apart, indicating that the plane probably broke up over several minutes whist in the air, with the passengers sitting helpless and occassionally some being sucked out. An intact body will typically float for 2 or 3 weeks. The warmer the water the quicker the process of a body surfacing, floating and then sinking once again; as a result of the increased amount of marine life which breaks the bodies down. The water in which the bodies of flight 447 lies, is 28 degrees celsius. Numerous other personal items belonging to the passengers have been found, but authorities are not revealing what they are. All personal items are being handed to Air France, who will deliver them to the families of the Flight 447 victims. 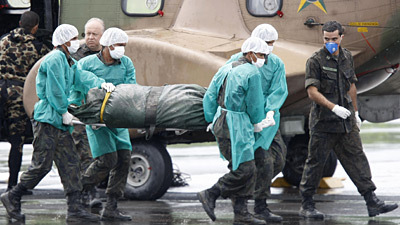 On Friday the 26th June 2009 Brazil called off the search for bodies & debris (the search for the black box continued). Relatives of a victim have signed up as a civil plaintfill in a manslaughter investigation at the Paris Prosecutor's office, in order to get access to files explaining why Air France flight 447's airspeed sensors hadn't been replaced. Two other French families have independently filed suit in Paris for manslaughter. French secret servicemen have established that 2 passengers on board flight 447, are also on highly-classified documents listing the names of radical Muslims considered a threat to the French Republic. The French Ministry of the Interior have said it was a coincidence. Johanna Ganthaler, an Italian lady from the Bolzano-Bozen Province - South Tyrol, was lucky enough to arrive late for AF447 and missed the flight. Her and her husband Kurt caught a flight later in the day from Rio de Janeiro to Munich. However, like in the movie Final Destination, fate finally caught up with Johanna and she died in a head-on collission when their car swerved into a truck coming from the opposite direction. The accident occurred near Kufstein, Austria. Kurt Ganthaler was also injured in the accident. Did pilot try turn around in mid-flight? 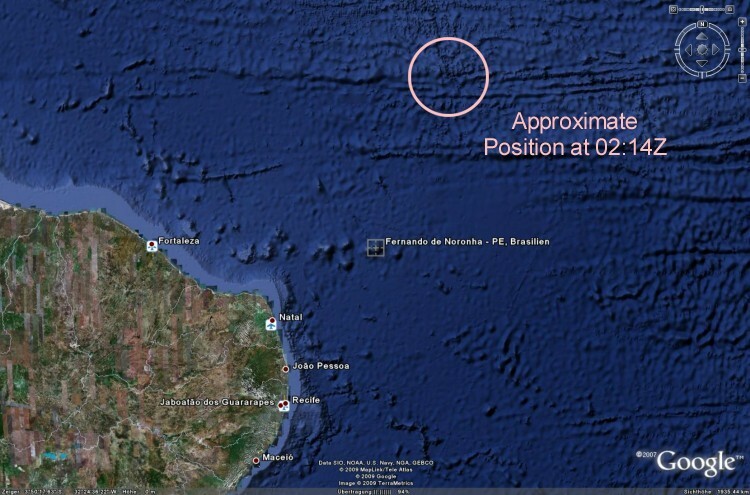 The search area lies southeast of the last jet transmission, indicating that the pilot could have been trying to turn around in mid-flight and head to the Fernando de Noronha islands. In September 2007 Air France had received a recommendation (the recommendation was not mandatory) from Airbus to replace airspeed instruments (called pitot tubes - open-ended, forward-facing external tubes) on the plane with a new sensor originally developed for the smaller Airbus A320, but had not yet done so for its entire fleet. Airbus recommeded the replacement because the pitot tube tended to collect moisture, resulting in inaccurate airspeed readings. After the recommendation from Airbus, Air France replaced the airspeed instruments on its Airbus A320 aircraft because water occasionally leaked into the device on those planes, A replacement program "was not implemented on the longer haul A340/330s as no such incidents had been noted." On the 6th June 2009, Air France said that it was accelerating the replacement of the speed sensors on all Air France Airbus long-haul planes. On the 8th June 2009 Alter, Air France's 3rd-largest pilots’ union, urged its members to stop flying Airbus A330s until 2 of the 3 components on the planes had been upgraded. Pitot tubes are named after the French engineer Henry Pito, who in the early 1700s figured out that the pressure of a gas or liquid through a tube could be used to determine velocity. Delta Air Lines is upgrading its Airbus A330s under plans made before the flight 447 incident. Aer Lingus is “prioritizing modification” of 2 Airbus A330s carrying the older pitot tube model in response to accident. US Airways began replacing its Airbus A330s’ pitot tubes after the Air France flight 447 accident “out of an abundance of caution”. The village of Ermenonville is known as "Air France Village", because of the number of Air France employees amongst its population of 913 (it is close to Paris Charles de Gaulle Airport). 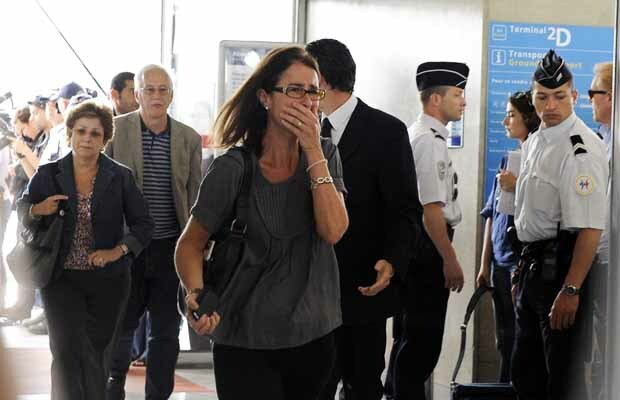 Sadly, 3 of Air France Village's municipal councilors were on flight 447 — Anne Grimout (head of the cabin crew), Nathalie Marroig & Marie-Josée Treillou. Anne had convinced Nathalie & Marie-Josée to join her on a trip o Brazil. At 1520GMT on the 2nd June 2009, a Brazilian Air Force plane (Embraer R99) spotted wreckage near St. Peter and Paul Rocks, some 640 km northeast of the Fernando de Noronha islands. The wreckage stretched for 5km and included "white pieces and electrical conductors", an airplane seat, a fuel slick, pieces of white debris and an orange buoy . 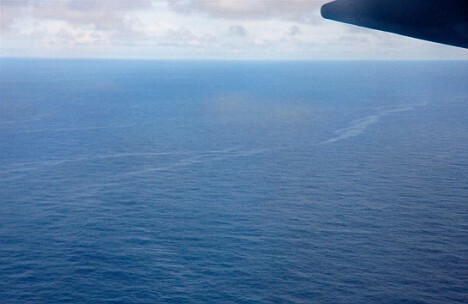 The floating debris was spread out in 2 areas about 60km apart, indicating that the plane may have broken up before hitting the water. On the 4th June a cargo pallet and 2 buoys were recovered by a Brazilian helicopter crew working off a Brazilian navy ship. 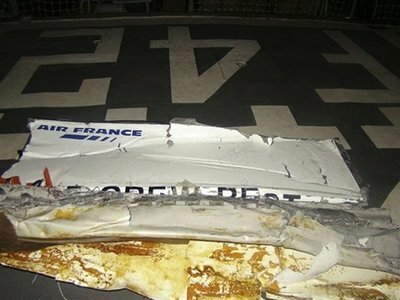 The cargo pallet was proven not be from AF447. The recovery of the tailfin is significant because the flight recorders were mounted in the tail section, and the tail fin's location could indicate an approximate underwater location for the flight recorders (black box). On 5 June Hervé Morin, the French defence minister, said that the nuclear submarine Émeraude was being sent to the search area. At the top of the document is the page number - page 28 of 256 (further down is page 29 of 256). Under the heading "Typ" is the type of messsage - messages of type WRN are warnings, and type FLR are fault reports. Under the heading "Sel", the first 2 digits again indicate the type of message (WN or FR) and then the date (e.g. WN0906010214 indicates warning message received at 0214GMT on the 1st June 2009). The messages are sent in batches, and the sequence within a batch is not meaningful. "34 11/06 FLR FR0906010210 34111506EFCS2"
With the consequent failure FLR 27933406 (Flight control primary computer en route), then the long list of messages WRN (warning). Abnormal and Emergency Procedures / 34 Navigation. An update on the accident data will be provided as soon as further valuable information is approved for release by the Investigation Board." the radios were inoperative or had lost power (which would be odd since the automated data transmission system was functioning). A sudden breakup of the airframe seems most likely, as the debris has been found in two patches 35 miles apart. Could it be that the rare event of lightning igniting the fuel tank caused an explosion ripping apart the airframe of AF447? This same plane (registration F-GZCP) was involved in a ground collision on the 17th August 2006 when it had a ground altercation with another Air France A321 (F-GTAM) at Paris Charles de Gaulle Airport. F-GTAM was on its way from Paris Charles de Gaulle to Rome and F-GZCP was on its way from Paris Charles de Gaulle to Ouagadougou. Both aircraft suffered damage and the tail of the A321 was substantially damaged when it was hit by the taxiing A330. Damage to the A330 was considered as minor. "We should have been on the plane," Claude Jaffiol, a medical professor, said. Jaffiol had been in Brasilia for a seminar and had stayed for a few days of tourism, but decided to fly home earlier than planned. Despite having "moved heaven and Earth" and tried to enlist a diplomat friend to pressure Air France to let them on flight AF447, they were turned away because it was full. Amina Benouargha-Jaffiol says: "Of course, at some level we feel lucky, but we also feel an enormous sadness for all those who perished". Andrej Aplinc, a father of 2 and 39-year-old Slovenian sailor, arrived at the Rio de Janeiro Galeão International Airport early because his cab driver was in a hurry to see a football match. He discovered there was no seat on flight 447 with enough legroom for him to stretch out his bum knee, so changed to an earlier 4 p.m. Air France flight, which did have a roomy seat. Stefan van Oss had booked a holiday to Brazil and was due to return to Amsterdam on AF447 via Paris (he lives in the small town of Oss some sixty four miles from Amsterdam). At the last minute he cancelled his flights and holiday, after a friend warned him of danger. At 0715 GMT Air France drew up plans to establish a crisis centre, and at 0935 GMT Paris Airport Officials announced to the public that flight AF 447 was missing (although at midday, the flight was still up on the arrivals board with the word "delayed" beside it). At 1017GMT Brazil's Air Force announced that a search and rescue mission was underway near the Brazilian island of Fernando de Noronha. At 1213 GMT air France suggested the electrical fault may have been caused by the plane suffering a lightning strike (despite the fact that the plane has been built to deflect lightning bolts, and this rarely causes planes to crash). The last time lightning was blamed for causing a major crash was in 1963 when Pan Am flight 214, a Boeing 707, exploded over Maryland after a bolt of lightning ignited fumes in a fuel tank. Air France said it has asked France's civil aviation agency to investigate the incident, and had sent all the information it had on the flight to Airbus and the French civil aviation authority. 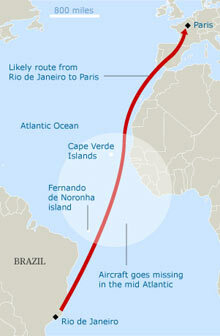 The Brazilian Air Force began a search at 0230 Brasilia time on the 1st June 2009, near Fernando de Noronha. The search effort used 5 planes (including an Embraer P-95 Bandeirante and a Lockheed C-130 Hercules), 3 boats and 2 helicopters. A French Breguet Atlantique plane left from Senegal in Africa to help in the search. With 1 June being a French bank holiday, the plane was nearly full, , with 228 lives (12 crew and 216 passengers) on board. Of the passengers, 126 were men and 82 were women. Seven children and a baby were on board. There were 3 pilots on board and 9 flight attendants. This is Air France's deadliest aeronautic disaster. Nineteen of the French were on board the flight as a result of a Brazilian holiday being won by a company sales team (the 9 winners, aged between 25 & 35, were allowed to take partners and an executive also accompanied them). The company was CGED electrical equipment supplier. Two Brazilian and one French executive of French tire make Michelin, including its President for South America (Luis Roberto Anastacio, 50), were on board the flight. Marcelo Parente, Rio's government chief of staff, was reportedly on board. Erich Heine, chairman of chairman of Companhia Siderurgica do Atlantico and a member of ThyssenKrupp Steel's (a German steelmaker) executive board, was on board. An employee of the Chinese company Huawei, was on board. Prince Pedro Luís of Orléans-Braganza, who would have been fourth in line to the extinct throne of Brazil (the Brazilian royal family has been out of power since 1889), was on board. Three Irish docters travelling on the flight were Aisling Butler, of Roscrea, Co Tipperary, Jane Deasy of Dublin and Eithne Walls, originally from Belfast. Dr Walls was a member of the Riverdance troupe and performed on Broadway before beginning 6 years of medical studies at Trinity College Dublin. While studying, she continued dancing as part of Riverdance’s “flying squad”, performing in China, Qatar, Germany and France. A US Geologist & his wife, Michael & Anne Harris, were on board. Michael Harris worked in Rio de Janeiro for Oklahoma City-based Devon Energy Corporation. Graham Gardner, master of a pipe-laying and construction vessel (the Lochnagar), was on the flight on his way back to his wife (he worked month-on month-off in Brazil). Patricia Coakley's husband Arthur, a 61-year-old English oil-rig structural engineer for PDMS, shouldn't have been on the flight at all. He was supposed to have taken a weekend flight out of Rio de Janeiro, but was bumped because it was overbooked. -Erich Heine, 41; South African-born; member of executive board of ThyssenKrupp Steel AG. Erich's family suffered a second tragedy on the 5th of June 2009, when his stepfather, James Douglas Long, died in hospital. Erich Heine leaves behind his wife, Alet, and daughters, Kristen, 6, and 4-year-old twins, Melissa & Anja. -Rita Szarvas; Hungarian; therapist at a Budapest center for children with motor disabilities (Peto Institute of Conductive Education) and the Conductive Learning Centre in Grand Rapids, Michigan, USA. Rita's 7-year-old son, Andras Szavas, was also aboard. Andras was a pupil at Sandpits Infants School. - Pablo Dreyfus; Argentina; campaigner against the illegal drugs & arms trade. -Luigi Zortea; Trentino area, Italy. - Arden Jugueta; Philippines; a Filipino seaman working as a mechanic of Elburge Ship Management, an Italian shipping firm based in Brazil. Arden was married to Miguela Jugueta, who was not on the flight. - Marie-Josée Treillou, 70, from Ermenonville ("Air France Village") in Paris, France; a mother and grandmother who had lived in Ermenonville longer than fourty five years. She was persuaded by Anne Grimout, was head of the cabin crew, to come for a weekend trip to Brazil. - Nathalie Marroig, 41, from Ermenonville ("Air France Village") in Paris, France; worked at Poclain Hydraulics in a nearby town & had children in Ermenonville school. She was persuaded by Anne Grimout, was head of the cabin crew, to come for a weekend trip to Brazil. - Shlomo Anidjar, from Boulogne-Billancourt, France. French rabbis objected to Anidjar's 3 children's request to cite the Kaddish Yatom prayer ("orphan's Kaddish") for their father, and undertook mourning customs at Paris' Great Synagogue. The rabbis objection was based on the fact that the plane's debris and passengers' bodies had not been found, and that taking part in the Paris memorial would be seen as a rabbinical-halachic approval that the Shlomo's wife woman was a widow, when she is in fact considered an aguna (abandoned wife). Rabbi Yirmiyahu Menachem Cohen convened Paris' rabbinical court, where the court ruled that the children and woman could mourn Shlomo's death, as the woman was expected to be recognised as a widow in the future. The court stressed, however, that the woman was not allowed to remarry before a thorough discussion was held on her personal status. Air France were taking care of families in a specially reserved area of Paris-Charles de Gaulle Terminal 2. It is not clear which of the pilots were piloting the plane at the time of the accident (during long flights the captain may take a break to remain alert). The Air France flight 447 captain, Marc Dubois, was 58 years old and had flown 11,000 hours. Like his father, he grew up to be a pilot, and like his father he flew for Air France. Marc had been flying for Air France since 1988, when he joined the airline from Air Inter, a rival French domestic carrier (which in 1990 merged with the Air France group). in February 2007 Marc qualified to fly the Airbus A330, and since then he had built up some 1,700 hours flying the aircraft. Dubois' co-pilots on flight 447 were Pierre-Cedric Bonin and David Robert. Bonin, 32, joined Air France in 2004, and had 3,300 flight hours and had qualified to fly Airbus A330s in June 2008. Robert, 37, joined Air France in 1999 and had 6,600 flight hours with the airline, becoming qualified to fly the Airbus A330 in April 2002. Bonin's wife Isabelle, 38, went with him to Brazil and was on the flight that crashed. Isabelle taught at a Bordeaux high school. Anne Grimout, 49, was head of the cabin crew. Anne was from Ermenonville, France (known as "Air France Village, because of the number of Air France employees amongst its residents), and had worked for Air France for nearly 25 years. The twin-engined Airbus A330-200 had registration number F-GZCP, and was built (fitted with General Electric engines CF6-80E) and delivered to Air France in 2005, it went into service on 18 April 2005 and had flown 18,870 hours (first flight 25 Feb 2005). The plane has a 12,500km range and can carry up to 253 passengers. The plane last received an engineering overhal on the 16th April 2009. 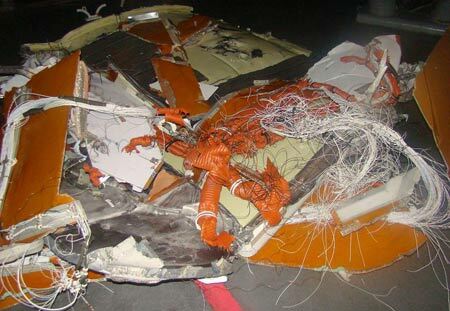 This is believed to be the first passenger-carrying Airbus A330 to crash. In June 1994, an Airbus A330 (owned by Airbus) on a test flight simulating an engine failure on take-off crashed after leaving Toulouse (France), killing all 7 people on board. In total there have been 4 hull losses of Airbus A330s in non-commercial flights. 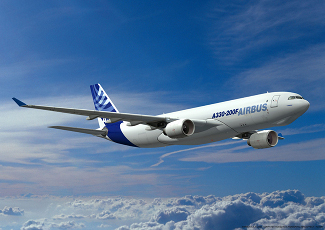 The Airbus 330 which entered commercial service in 1994, is built at Toulouse, France. in the south of France and entered commercial service in 1994. There are more than six hundred of this type of Airbus in service. There is suspicion amongst some pilots about the Airbus's highly automated systems. Electrical problems in a fly-by-wire aircraft are extremely serious. Airbus planes are designed for computers to override pilots if the plane is in a dangerous situation. But if computers get bad input signals, the flight control system could possibly get disoriented and send the plane plunging. Air France's last major incident was in July 2000 when an Air France Concorde airliner crashed just after taking off from Charles de Gaulle Airport (all 109 people on board died, and also at least 4 on the ground). This is the worst crash since 2003, when a plane carrying members of the Iranian Revolutionary Guard crashed in southern Iran, killing 275. A TAM airliner crashes on the runway at the São Paulo airport, killing 187 people on board and 12 outside the aircraft. A Gol jet , built by Boeing, crashes over the Amazon, killing 154 occupants. This is understood to be the first time a plane has crashed between Europe & South America (or vice versa) since the route was first flown in 1947. PPRUNE, the Professional Pilots Rumour Network, couldn't initially be accessed for information about the missing Air France plane, giving the message, "The server is too busy at the moment. Please try again later." An Air Iberia flight left Rio de Janeiro bound for Madrid and another Air Iberia flight left Sao Paulo (also bound for Madrid). The Air Iberia flights reported no problems. Three Air TAM Brazil flights and a BA British Airways flight flew similar routes to AF447 and reported no problems. No airliner at cruising altitude has been brought down by storms since 1966, when BOAC flight 911, a Boeing 707, crashed in Japan, killing 124. French insurer, Axa S.A., is the lead insurer. It is listed on the Paris Stock Exchange. 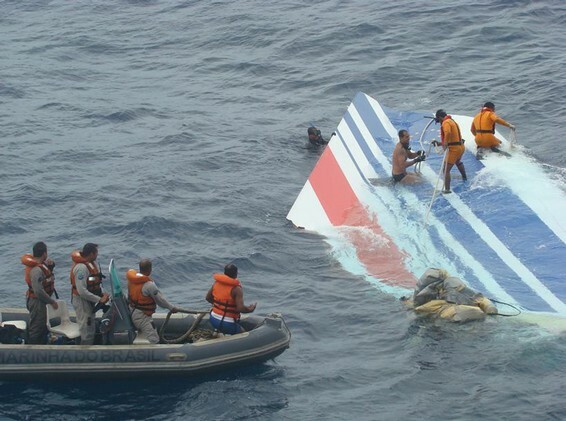 Flight 447 may be the most costly airline disaster since 2001 (when American Airlines flight 587 crashed in New York killing 265 people), with the families being entitled to at least $US150,000 for each person. The cost to Air France-KLM's insurers, which includes American International Group & Allianz, will depend on any negligence demonstrated of the airline, and estimates of the present value of travellers' expected lifetime earnings. Insurers covering servicing contractors & Airbus may be liable once it is determined why the plane crashed. 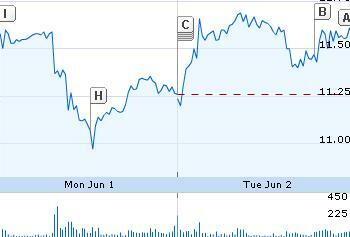 Here's how the Air France - KLM share price reacted to the newsflow. After the accident the flight number for the Rio to Paris flight was changed to AF445.